Easter has been and gone for this year, and no doubt you've spent the last few days stuffing your face full of chocolate Easter eggs. While you've been gobbling your body weight in chocolate, we've been gorging on Easter eggs of a different kind. We've hunted high and low for jokes and messages hidden in your favourite TV shows. Here are our top four. Rainier Wolfcastle is The Simpsons universe’s answer to Arnold Schwarzenegger. An Austrian-born action movie star with an unusually muscular build, Wolfcastle stars in the McBain series of films. Wolfcastle first appeared in the second season episode ‘The Way We Was’ in 1991. In a segment from a McBain movie, we see the titular character punching his police captain through a window. A total of five seemingly unrelated McBain clips aired on The Simpsons between 1991 and 1993. However, it turns out that those five clips form a three minute movie with a cohesive narrative when rearranged and stitched together. This McBain mini-movie was never part of any grand scheme by The Simpsons’ production team. According to executive producer, Al Jean, “it was always just conceived as the most melodramatic fragments of a bigger movie where we never really had a big movie in mind”. How I Met Your Mother centres around the lives of Ted Mosby and his friends in Manhattan, New York. Running for nine seasons between 2005 and 2014, the show’s early seasons were well received with later seasons receiving a more mixed response. Despite its sitcom status, How I Met Your Mother wasn’t afraid to tackle serious storylines every now and again. The sixth season episode, ‘Bad News’, sees Marshall and Lily undergoing fertility tests after several months of trying to conceive. Lily’s tests reveal that she is not infertile, and Marshall spends the rest of the episode worrying about his own fertility, seeking comfort from his parents. Eagle-eyed viewers watching the episode would have noticed the ominous countdown occurring in the background, with numbers appearing on otherwise innocuous objects. As the countdown nears its end, and we’re expecting bad news, Marshall instead receives good news. He isn’t infertile. Then comes the gut punch. Marshall’s dad has had a heart attack and died off-screen. Community revolves around the members of a study group at Greendale Community College. The show is well-known for its use of meta-humour and its tongue-in-cheek allusions to popular tropes. This approach to comedy, of course, means that Community is full of inside jokes and easter eggs. In season two episode, ‘The Psychology of Letting Go’, super-meta character, Abed, has an entire storyline that plays out solely in the background. Over the course of the episode, we see Abed meet a pregnant woman, get chased away by her boyfriend, and then deliver her baby. A more subtle Easter egg took three seasons to pay off. The name “Beetlejuice” is said once in each season from the first season to the third. The third time the name is said, a character dressed as Michael Keaton’s character from the 1988 film, Beetlejuice, is seen walking past a window in the background. 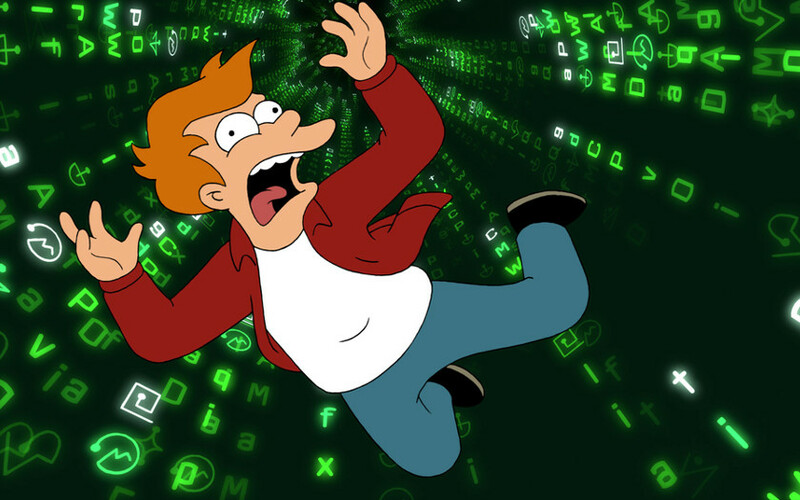 On the surface, Futurama seems like a goofy, light-hearted animated comedy about a hapless pizza delivery boy who finds himself stuck one thousand years in the future. And it is. It is also one of the most clever shows on TV. 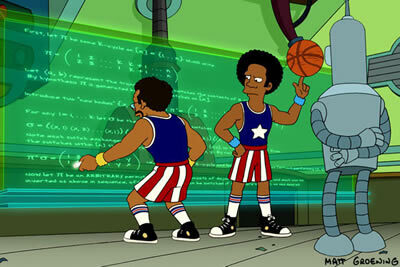 Futurama’s writing staff include those with PhDs in maths and sciences, and it shows. If you know what to look for, that is. And, let’s be honest. Most of us don’t. 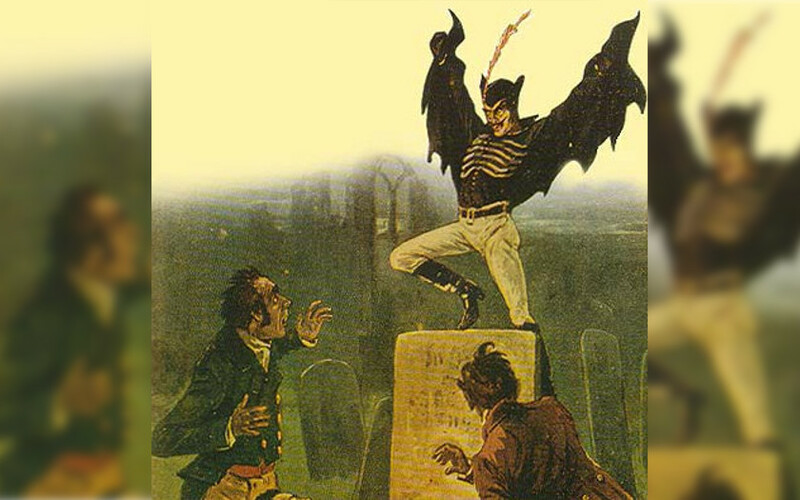 The writers’ rule of thumb was that the more obscure jokes could not be central to the plot, so the casual viewer is unlikely to even notice them. The background, however, is full of complicated jokes that only the brainiest viewers will understand. Jokes about quantum mechanics, mathematics and computer programming are not uncommon. Writer, Ken Keeler, even thought up a brand new mathematical theorem for the show. However, the longest running and most accessible easter egg in Futurama is no doubt the fully translatable alien ‘languages’ that can be seen in the background of many scenes. Regularly seen on signage or as graffiti, it is possible to decode every symbol into a letter of the Latin alphabet. 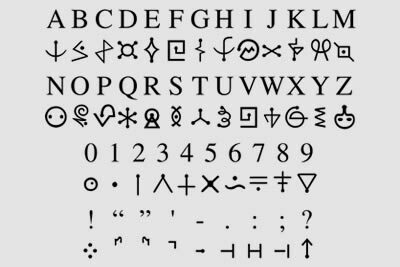 The symbols that the writers refer to as ‘Alien Language 1’ (but known amongst fans as ‘Alienese’) are the simplest to crack. Every symbol represents a corresponding letter of the Latin alphabet. ‘Alien Language 2’ is more complicated to crack, with each symbol having a numerical value. Taking the time to translate the background text seen in Futurama episodes will give you a chuckle, with signs reading “Tasty Human Burgers” and the like.